Antico Frantoio Muraglia EVOO always has lovely, reusable ceramic bottles. 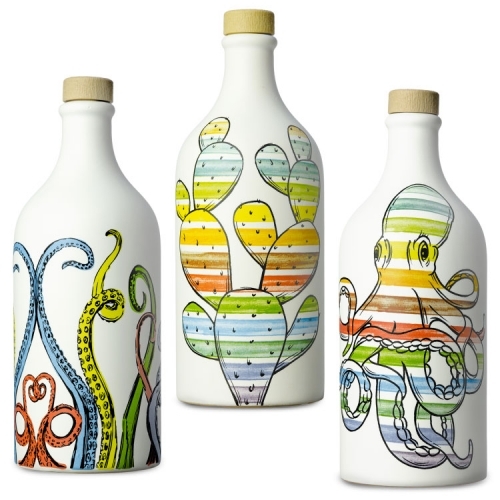 The Pop Art Collection is filled with prickly pear cactus, octopi, sardines, cuttlefish, and tentacles. 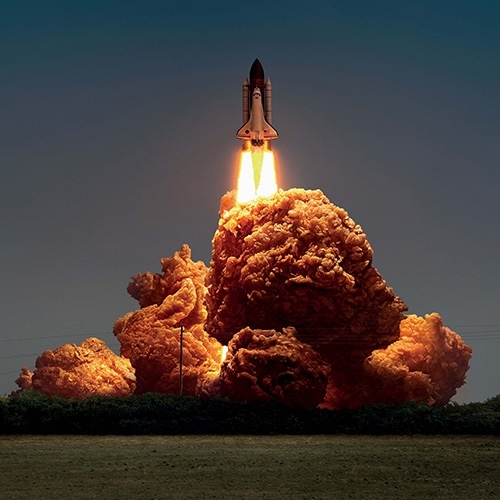 [Found in the NOTCOT kitchen!] 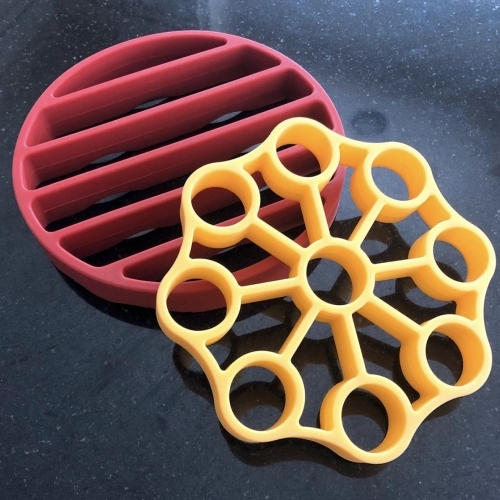 The OXO Pressure Cooker Egg Rack and general Rack that also works well in the oven or as a nice thick silicone trivet! You can even stack two egg racks that each hold 9 eggs. 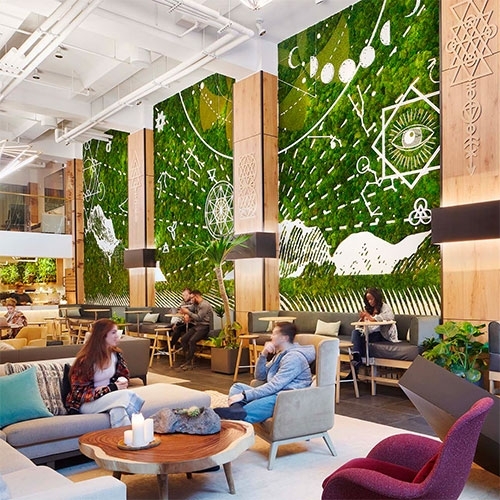 Venue Report "Why “Transformative Co-Working Spaces” Will Be One of the Hottest Trends of 2018" - taking a closer look into The Assemblage co-working, coliving, social space focused on transformation and interconnection. 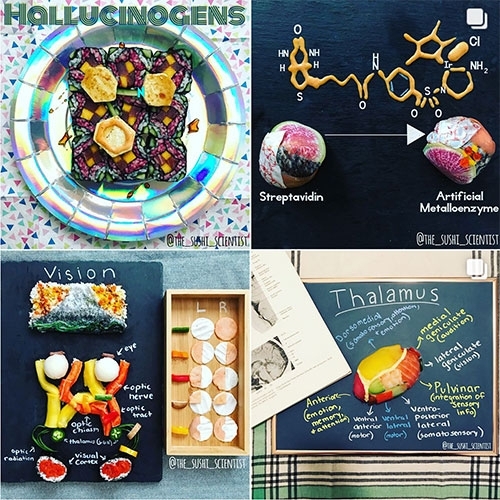 The Sushi Scientist (of Instagram) by postdoc Janelle Letzen is currently focused on neuroscience. 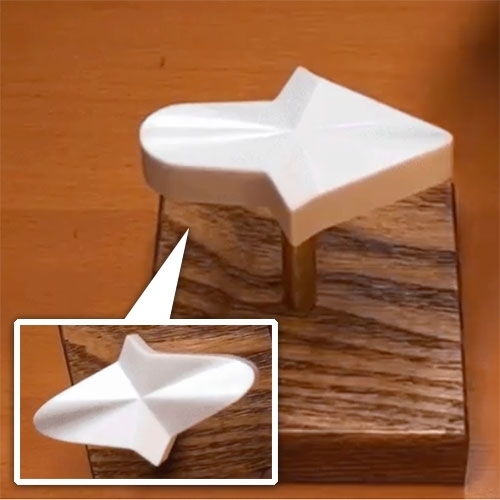 VIDEOPhysicsFun shares this arrow 3D optical illusion that is always pointing right! 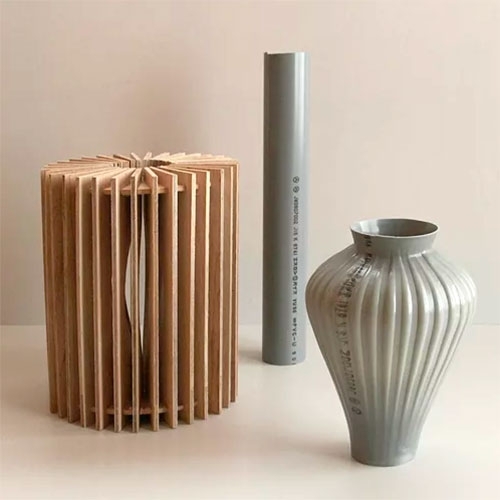 Ambiguous objects designed by mathematician Kokichi Sugihara of Meiji University. 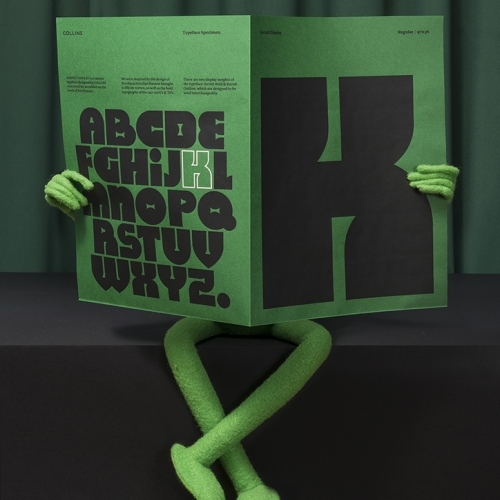 Kernit: a typeface inspired by the work and imagination of Jim Henson by Jules Tardy and Thomas Wilder of COLLINS. 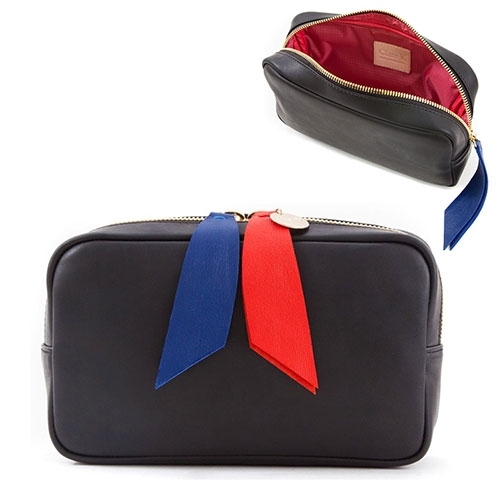 Clare Vivier Cosmetic Case with fun red and navy leather zipper pulls. SHAW by Charles Shaw. 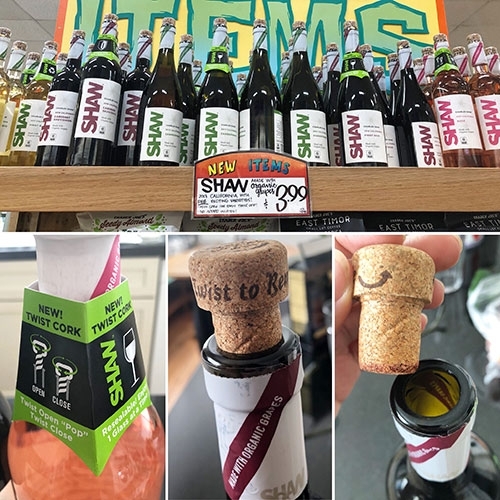 Trader Joe's 2 Buck Chuck goes organic with a unique Helix Cork that can be twisted opened/closed. $3.99 a bottle for their new organic wines. VIDEOFrog fish! 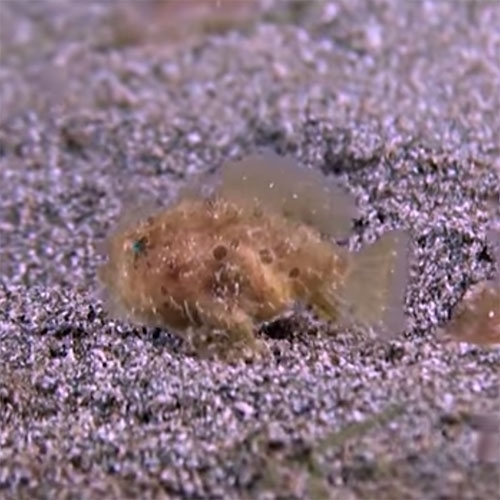 Zefrank is back with an episode of True Facts all about NOTCOT's favorite little dive buddies Frog Fish! 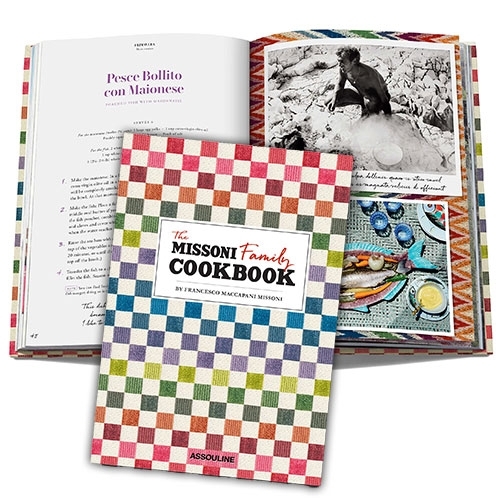 The Missoni Family Cookbook from Assouline looks so FUN. 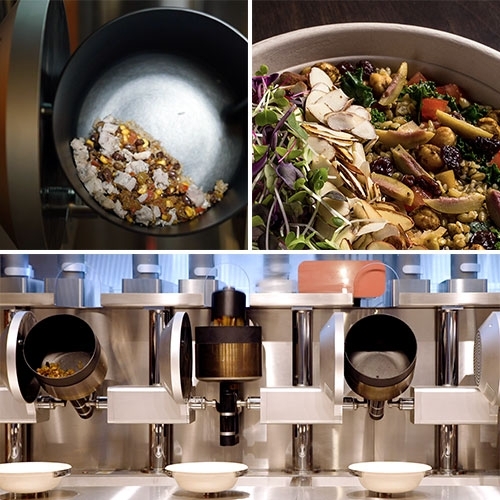 It's filled with colorful patterns and textures tucked beneath and around all the delicious looking food! 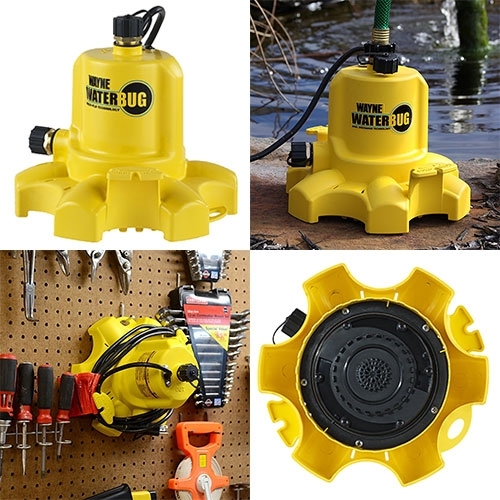 WAYNE WaterBUG Submersible Pump with Multi-Flo Technology. Just discovered this because of a flooded basement... and not only is it effective, the design has so many great details. 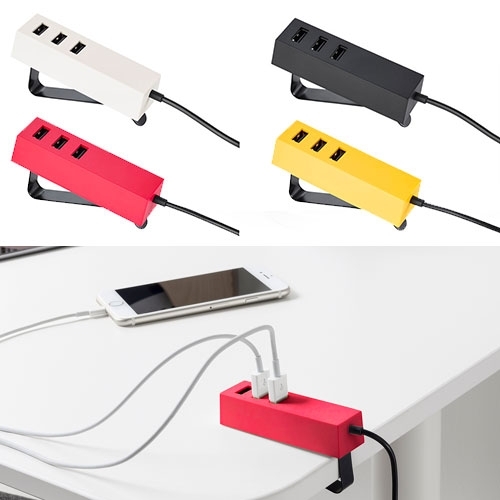 From the simplicity and ease of use, to the smart storage setup. Double Barrel Vape lets you mix and match flavors. 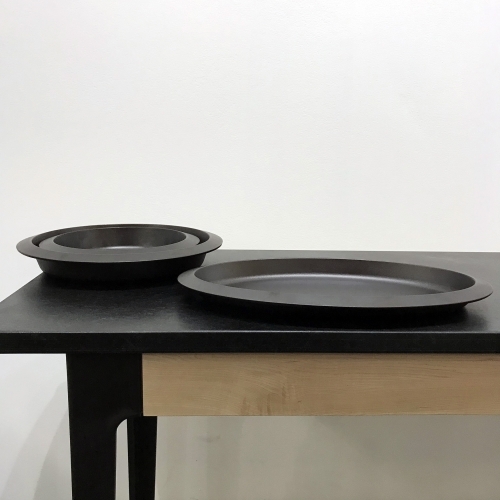 Cast iron bakeware from Borough Furnace become elegant serving vessels when moved to the dining table. 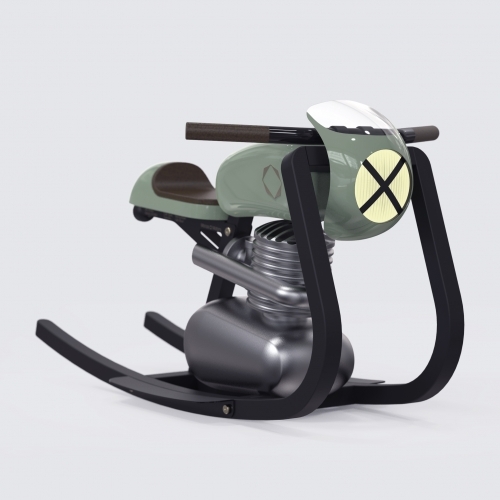 The Moto Rocker is a modular rocking motorcycle for kids. Style can be chosen between Cafe / Brat and Track Racer. 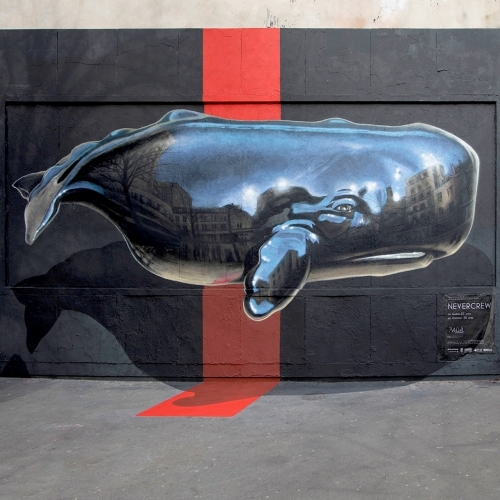 The color is painted on order. The name of the rider is placed on the seat-frame. 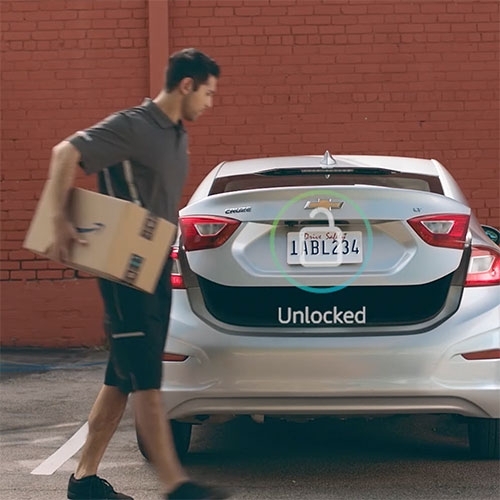 Premium manufactured in Leipzig, Germany. 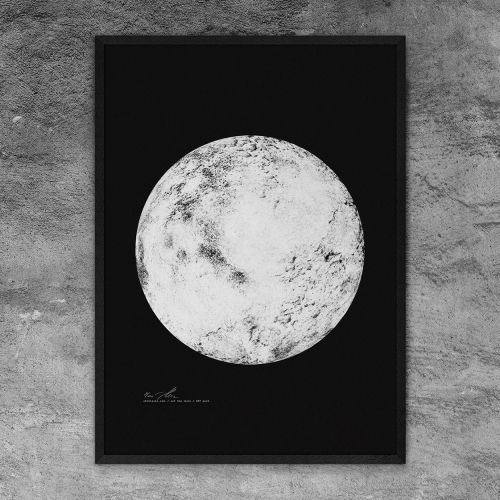 This is NOT THE MOON. 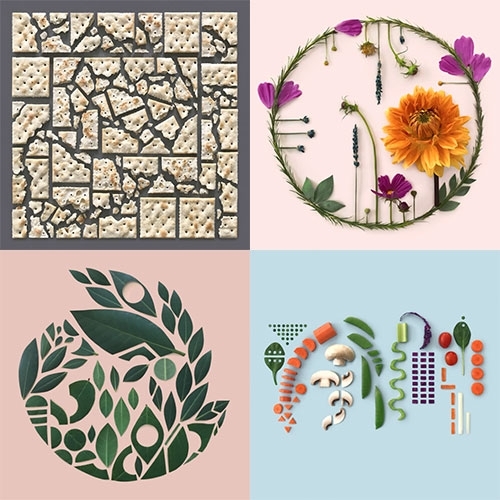 Stellavie took the recipe for the worlds most delicious pancakes, digitized the pancakes as film quality scans and turned them into moons and silkscreen prints! 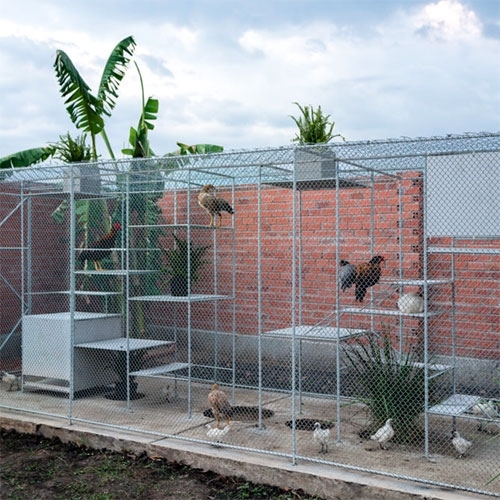 Chicken House in Vietnam by Tropical Space. A large caged space for the ducks and chickens to live, where the humans can watch, visit, and grow vines to create shade for them. 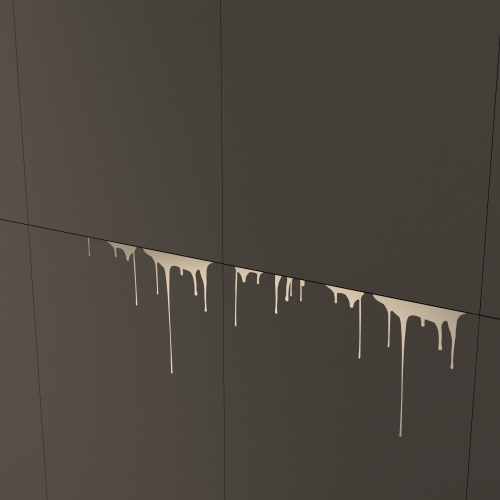 The Muse - is the brand new minimal and ironic ceramic tiles collection, designed by Dima Loginoff. 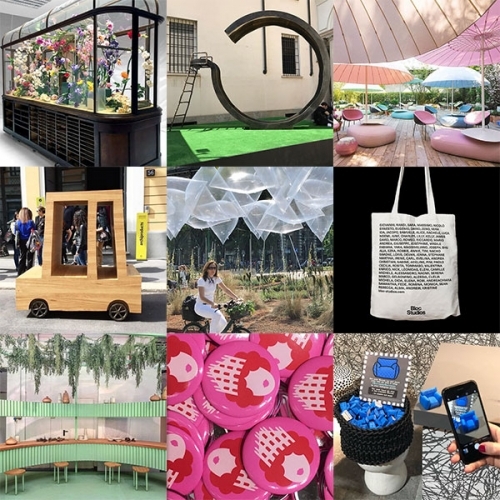 Kodai Iwamoto Design EX-PORTATION 2018 at Ventura Future. 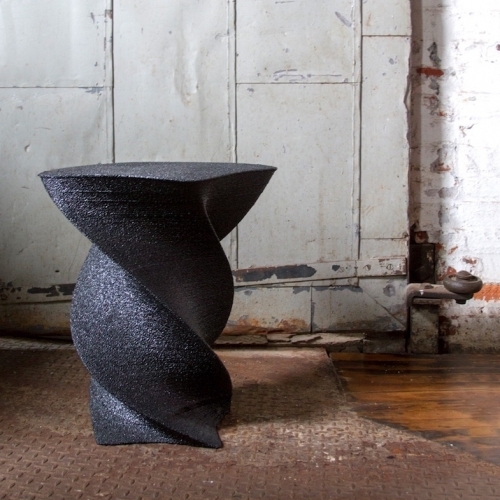 Stunning "Plastic Blowing Project" heats and blows PVC pipes like glass into vases! Zakh Architects Gate Shelving/Furniture System. 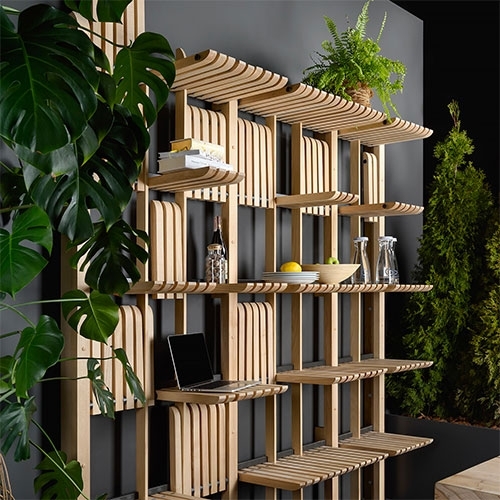 A modular collection of movable wooden bars placed on a metal rod creating dynamic structure changing to fit fast and always changing pace of daily life. 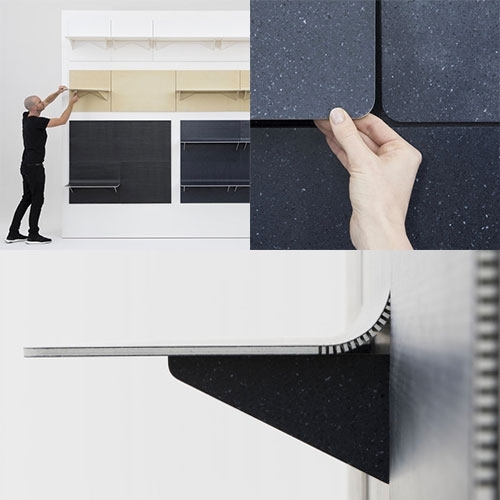 LAYER x Kvadrat's SHIFT is a shape-shifting retail shelf system. 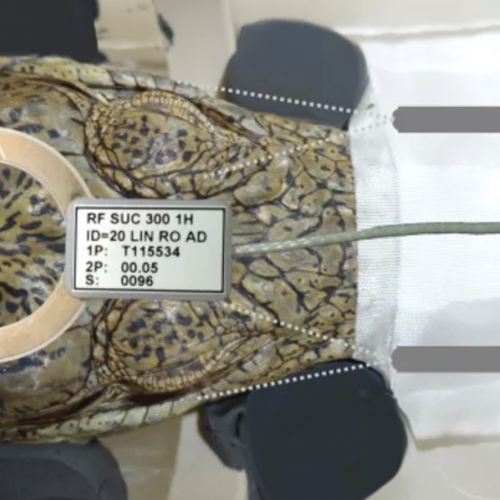 Core77 has a nice preview of the system before it's Salone launch. 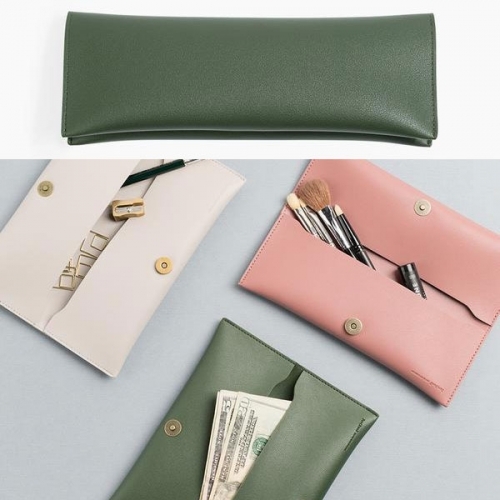 Double Up Cases - made of vegan leather. 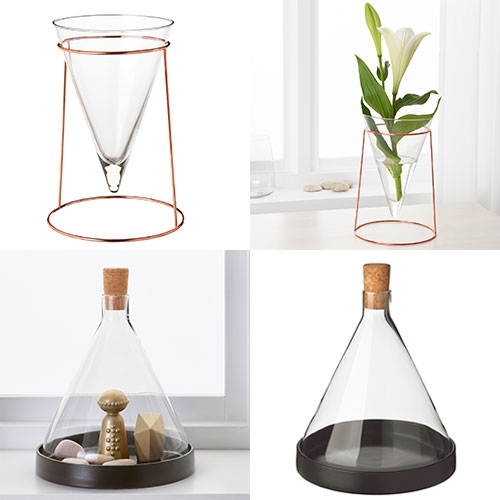 3"x8"
IKEA HJÄRTELIG upside down cone vase and glass dome. The dome is succulent perfect with its removable cork for air flow! 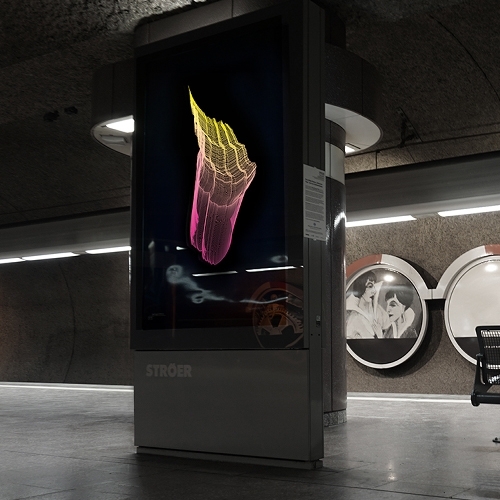 “There Not Here” by Novel is a series of mixed reality experiments. 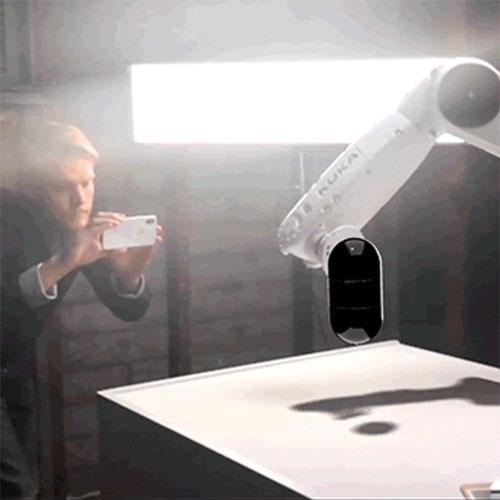 Shot and rendered entirely on mobile, this short film documents their efforts to blend both realities through the synchronization of robotics, multi-user AR, and lighting. 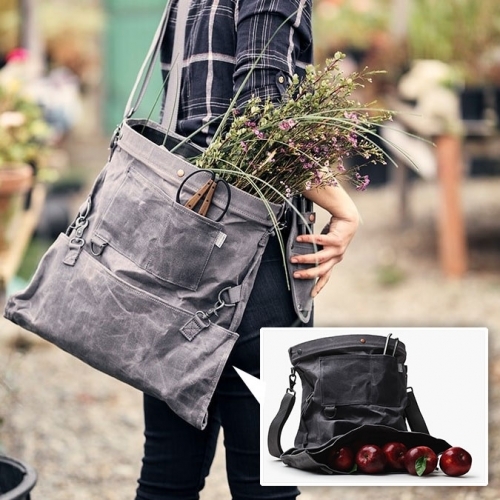 Barebones Living Harvesting & Gathering Bag - Unique drop out bottom makes quick work of emptying the harvest. Constructed of weather- and water-resistant waxed canvas and complete with a removable liner. 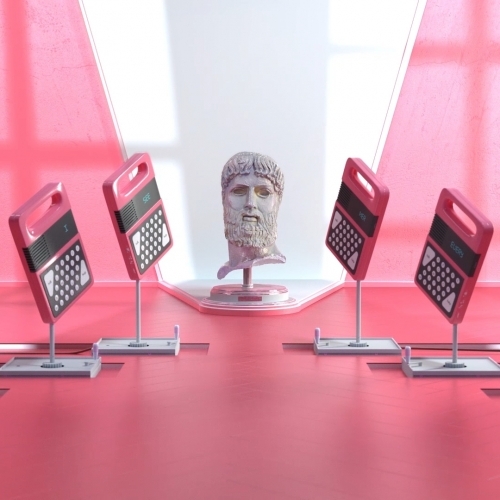 VIDEOCoach Hop's new music video is an utter delight to the senses, inspired in equal part by surrealism and the iconography of recorded sound. 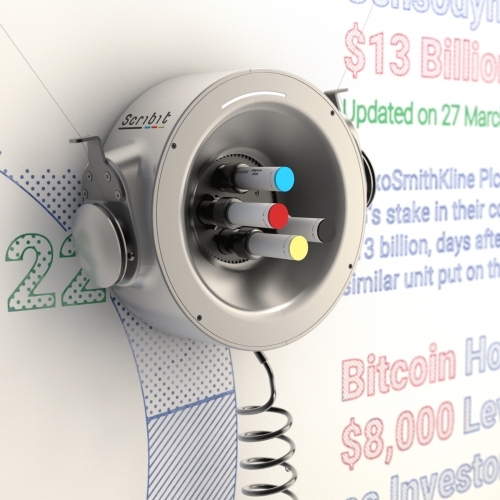 Italian architect Carlo Ratti Associati unveils Scribit, an intelligent writing robot that allows users to draw images and text on any wall surface: whiteboards, glass or standard plaster. 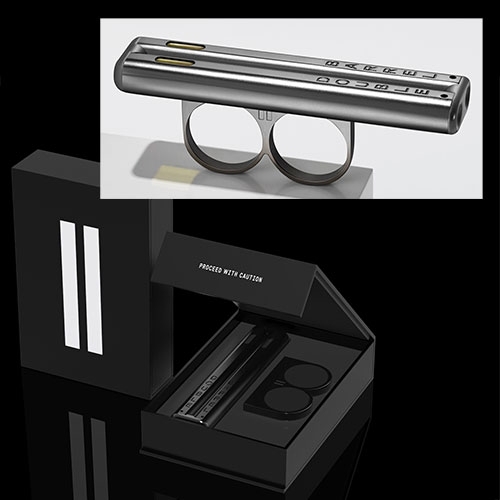 Karl Lagerfeld X Yoni Alter. A stunning new spring- summer collection by the legendary fashion designer in collaboration with the London based artist. 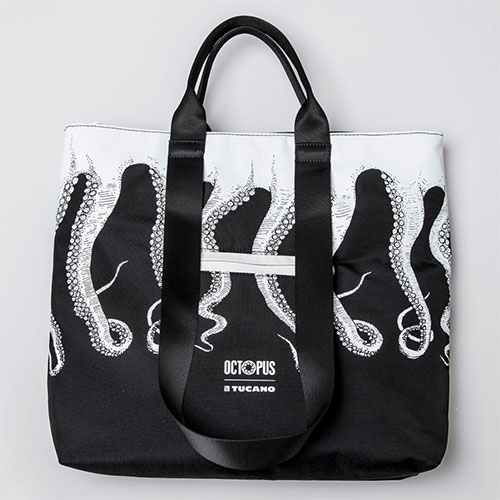 Octopus Brand X Tucano Capsule Collection launching this week in Milan! 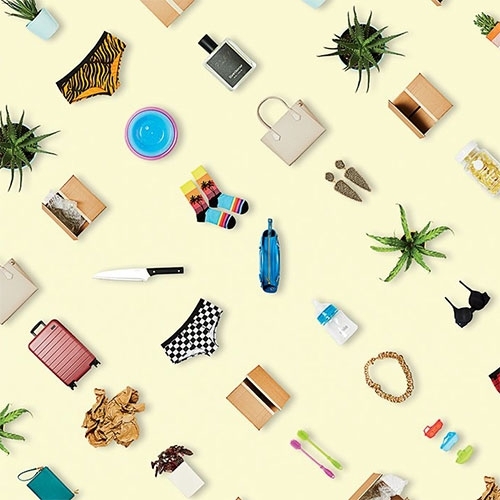 Including covers for the iPhone X, 7-8 and 7-8 Plus, a Tote Bag, zipped travel pouches in different shapes and sizes and laptop cases. 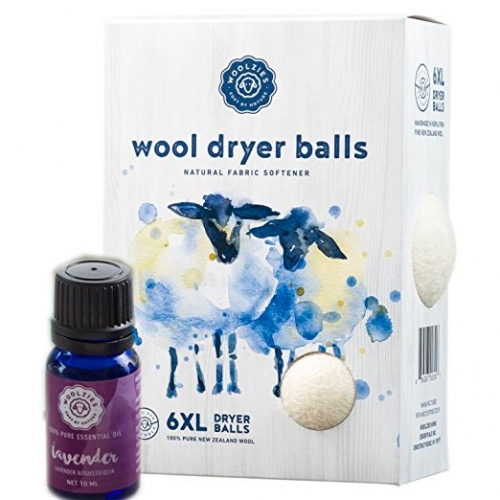 Woolzies Wool Dryer Balls: Natural Fabric Softeners with aromatherapy options. Adorable branding and packaging - look at those water color sheep! 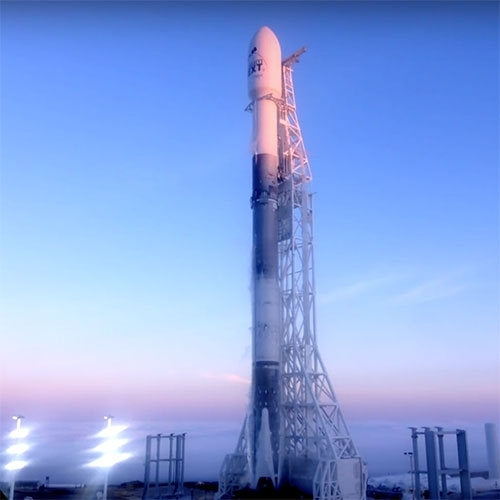 VIDEOSpaceX Iridium-5 Mission is launching at 7:15am PST March 30 - Watch the Falcon 9 launch of the Iridium-5 NEXT mission from Space Launch Complex 4E (SLC-4E) at Vandenberg Air Force Base in California. 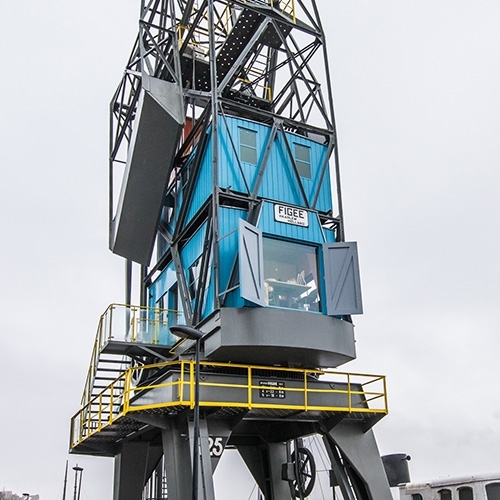 “The Yays - Crane Apartment” is a three-story luxury apartment for rent in a former harbor crane in Amsterdam designed by Studio Edward van Vliet. 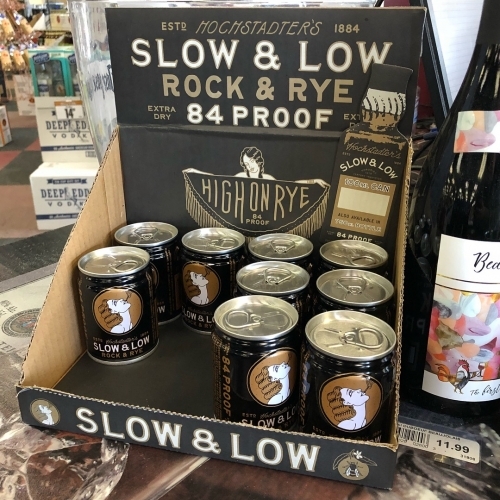 FEATUREDHochstadter's Slow & Low 'Rock And Rye' is 84 proof and can come in the cutest pull tab 100mL cans... Straight RYE Whiskey, Raw Honey, Navel Orange, ROCK Candy & Bitters. Love the packaging! 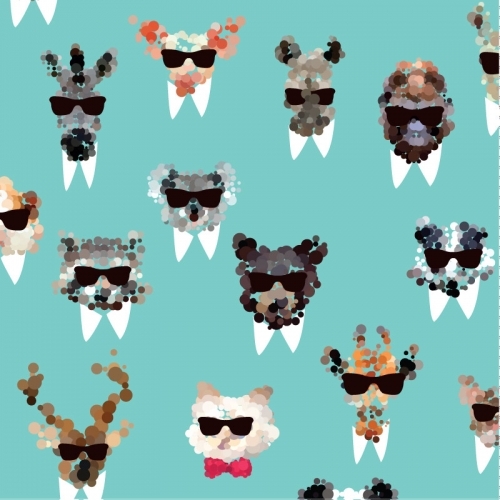 Table Zoo by RONG. Adorable bird pencil holder, hedgehog pushpin holder and my favorite - the frog tape dispenser! 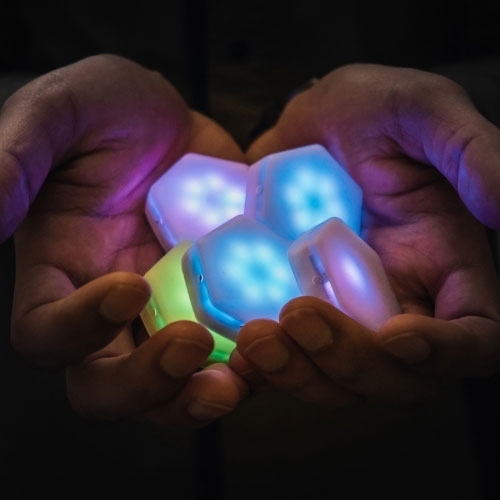 Jonathan Bobrow's Blinks - A Board Game System with a Mind of Its Own. 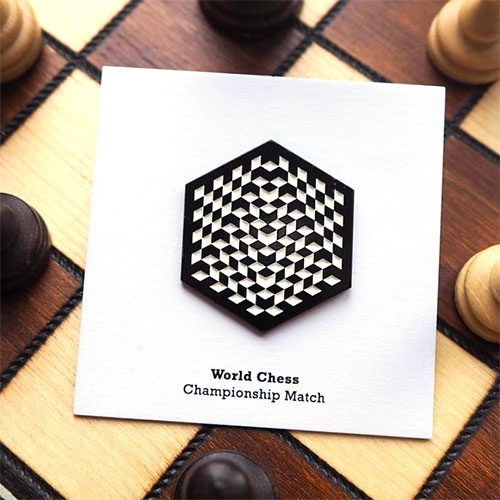 This open-source table top game is made up of smart hexagonal tiles that are ticklish, social, and think for themselves. 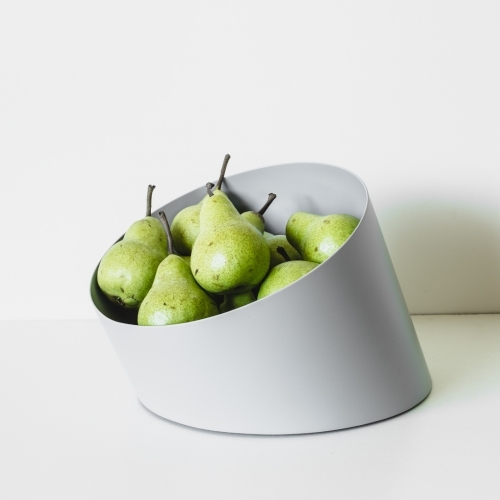 Les Basic Sfera collection of tilted vessels - Graduating sizes invite all kinds of contents – from coins and keys, to a bunch of fruit. 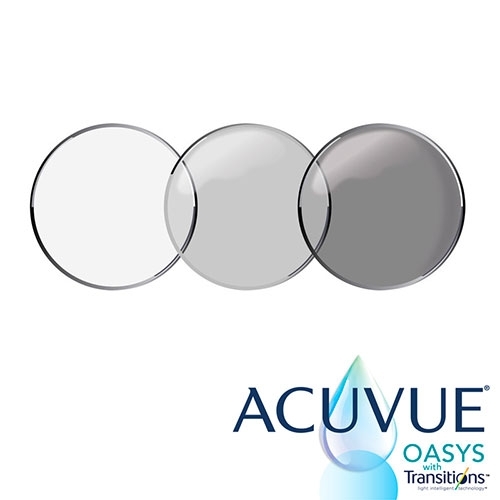 The XL size offers a hidden rotating base.